my obsession with top chef restaurants continues in full force (get ready for a biggie from maui) ... this time with lyfe kitchen, a restaurant created by chef art smith (featured on top chef masters, people) and located in river north. lyfe literally stands for "love your food everyday" ... now this is a mantra i can get on board with. but wait, there's more ... "great food can do amazing things. it can make you feel better. it can support local farms. promo sustainability. reward environmentally sound businesses. give back to the community. and best of all, it will make you savor every single bite." #duh. oh, & also ... there's a separate vegan menu. amazing. hello delicious vegan caper aioli. 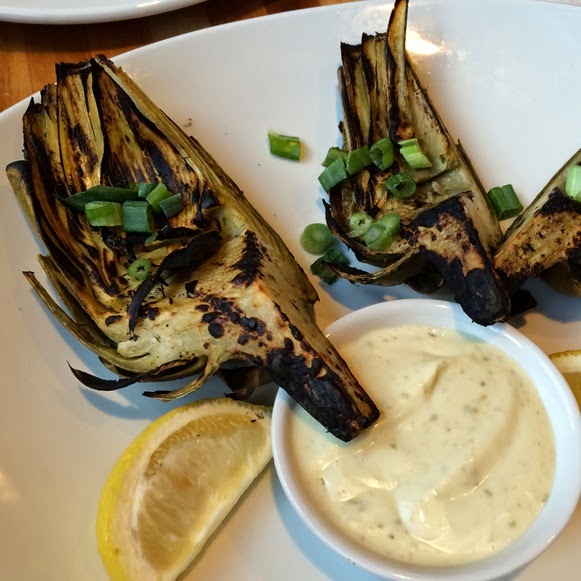 the artichokes were, of course, great. but the aioli was really the star. i could put it on many, many items. i'm thinking, vegan blt. marinated tofu, chayote slaw, avocado, cilantro, green onions & chipotle aioli on warm corn tortillas w/ a baby kale salad & salsa fresca. not going to lie ... the best tofu tacos i've ever had. 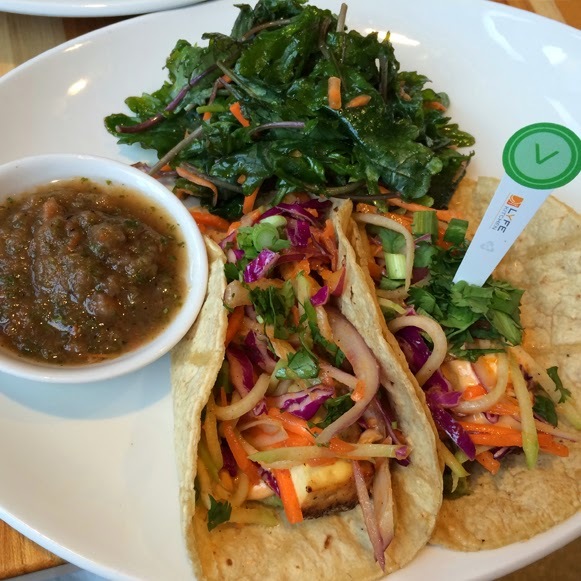 not the biggest fan of baby kale, so i kind of ignored that bit ... but the tacos? the tacos were amazing. i have a feeling lyfe kitchen gets packed at lunch ... but at dinner, we had no problem. i know for certain i will be back ... you should check it out, too!